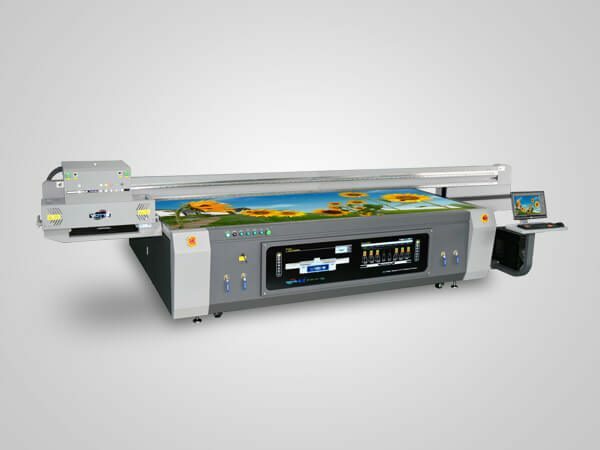 YOTTA YD-F2513R5-40 heightening flatbed uv printer is a upgraded heightening model with unparalleled 0.4M print height. 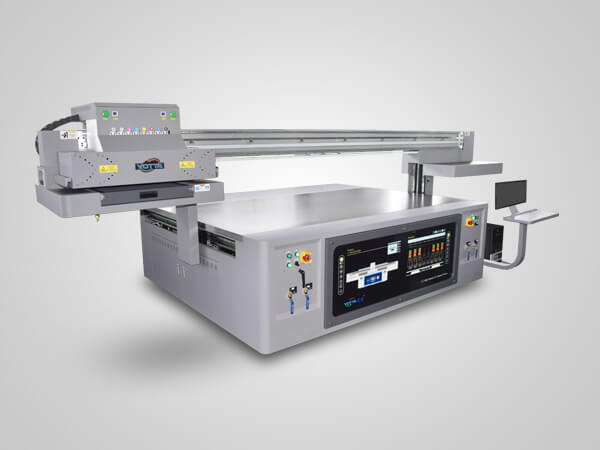 Adopting high-end industrial Ricoh Gen5 printheads, this flatbed machine delivers 7pl-35pl variable ink droplet and 600×2400dpi printing, ideal for high resolution printing on various types of materials, especially for custom gift boxes production. All of YOTTA’s digital printers employ integrated temper-treatment stainless steel frame which is more tough and stable, no deform during transportation and use. Our printers are equipped with series of original high quality accessories to ensure high precision positioning, printing and strong performance. For instance, the printer palrform can bear 50kg per square. 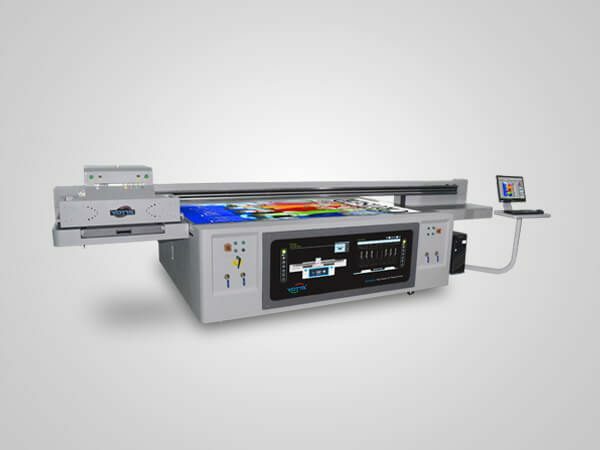 This heightening flatbed printer adopts 2-8pcs grey level Ricoh Gen5 internal heating micro piezo printheads, delivering 600×2400dpi high resolution printing. Even clear 2pt character can be printed out. The jetting frequency is up to 60KHZ. YD-F2513R5-40 printer is installed Ricoh Gen5 industrial printheads. Three printing modes can be chosen by customers according to actual production requirements. We believe that quality is the soul of an enterprise. Therefore, we always put product quality first. We have strict quality management processes to control the storage of each accessory and the production of each printer. Meanwhile, we provide a year of warranty for each machine. The YD-F2513R5-40 has a ultra high print height of 0.4M, which is rare in the entire printer market. In addition to print on materials with normal thickness, it is also ideal for custom boxes, book edges, kid’s tables & chairs, etc. 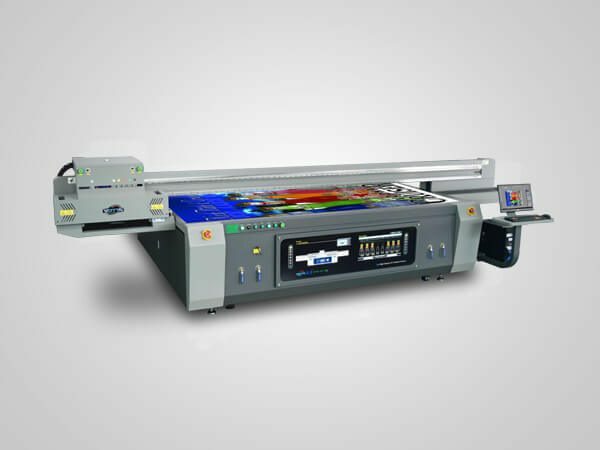 Its application is more wider than the average digital UV printer. White ink & varnish (transparent ink) printing. Adopting Eco-friendly UV ink which is No Voc, and UV LED curing technology without excessive heat produced, it meets the requirements of all countries for green production and environmental protection. At the same time, protecting the health of the user. Material Glass, acrylic, wood, ceramic, metal, PVC, corrugated board, plastic, notebook, wine box etc.